Shoppers leave the Shoprite store in Daveyton, South Africa May 23, 2018. Shoprite on Feb. 26 reported its first decline in half-year earnings in more than 10 years. Africa’s largest supermarket group blamed a currency devaluation in Angola, its third-biggest market, and supply constraints in South Africa. The group, which owns more than 2,800 outlets across the continent, said diluted headline earnings per share, the main gauge of post-tax profit in South Africa, declined to 389.5 cents from 525.6 cents in the corresponding period of 2017. Analysts polled by Refinitiv had forecast a fall to 419 cents. 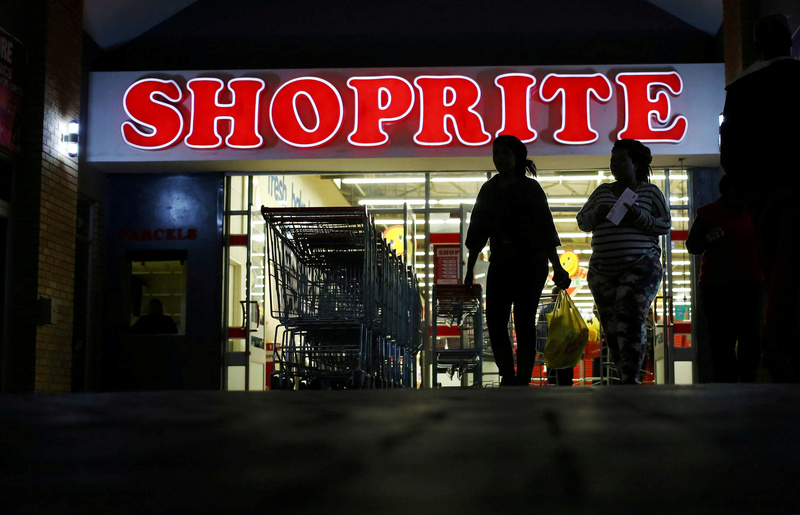 Shoprite shares, which fell as much as 16 percent after a Jan. 29 profit warning, rose 3.8 percent to 168 rand by 0930 GMT on Feb. 26.